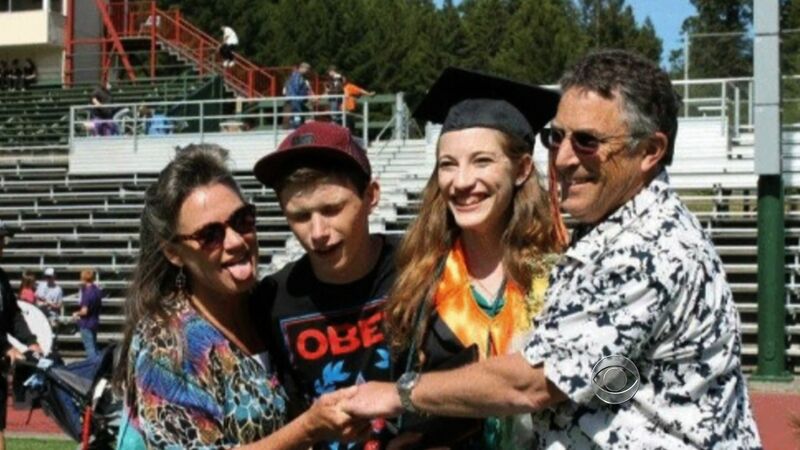 SAN FRANCISCO The search for a 16-year-old boy who plunged into icy waters off the California coast to save the family dog has ended, adding another tragic note to the events that also claimed his parents' lives. Eureka residents Mary Elena Scott, 57, and Howard Gregory Kuljian, 54, both drowned Saturday, said Ariel Gruenthal, a deputy coroner in Humboldt County. The boy, Gregory James Kuljian, has not been found and is presumed dead. Powerful, 10-foot waves had pulled the dog into the ocean Saturday as it ran to retrieve a stick at Big Lagoon, about 300 miles north of San Francisco, authorities said. Waves were about eight to 10 feet high at that time. The 16-year-old boy went after the dog, prompting his father to attempt a rescue, said Dana Jones, a state parks district superintendent. The teenager was able to get out of the waves but then went back into the water with his mother in search of his father. "Both were dragged into the ocean," Jones said, adding the dog got out of the water on its own. The couple's daughter and the boy's girlfriend watched the tragedy unfold. A nearby bystander called police, but by the time help arrived, it was too late. Jones said a park ranger had to run a half-mile to get to the beach because his car wasn't made to handle the rugged terrain. When he arrived, he wasn't able to get to the family members because of the high surf, she said. Rescuers eventually retrieved Scott's body, and Howard Kuljian's body washed ashore. The dog got out of the water on his own. Coast Guard Lt. Bernie Garrigan said the search for the teenager was stopped because a person without a wetsuit could not survive for long in the surf because of the frigid waters. Saturday was overcast and a bit damp, and the winds were light at Big Lagoon beach, a steep shoreline where the waves roll in and crash onto the sand, making the area dangerous, officials said. Signs are posted near the beach parking lot warning beachgoers not to turn their back to the surf and to pay special attention to "sneaker waves," or swells that can seemingly appear from nowhere and violently smash onto the beach, Garrigan said. "Because the beach is designed that way, when that 10-foot wall breaks, it surges up on the beach and surges back really fast," he said. "It's like a cyclical washing machine." The Coast Guard deployed a helicopter and two motor life boats to search for the teenager, but thick coastal fog made the search difficult. The parks department has also called off its search.